Dianne G. Bystrom and Barbara Burrell. Women in the American Political System: An Encyclopedia of Women as Voters, Candidates, and Office Holders [2 volumes]. ABC-CLIO, 2018. ABC-CLIO, publisher.abc-clio.com/9781610699747. 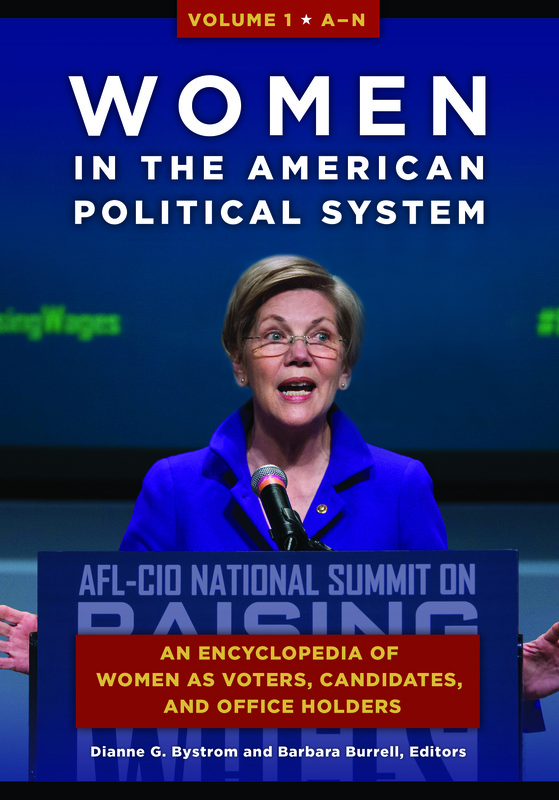 This book examines how women candidates, voters, and office holders shape U.S. political processes and institutions, lending their perspectives to gradually evolve American life and values.